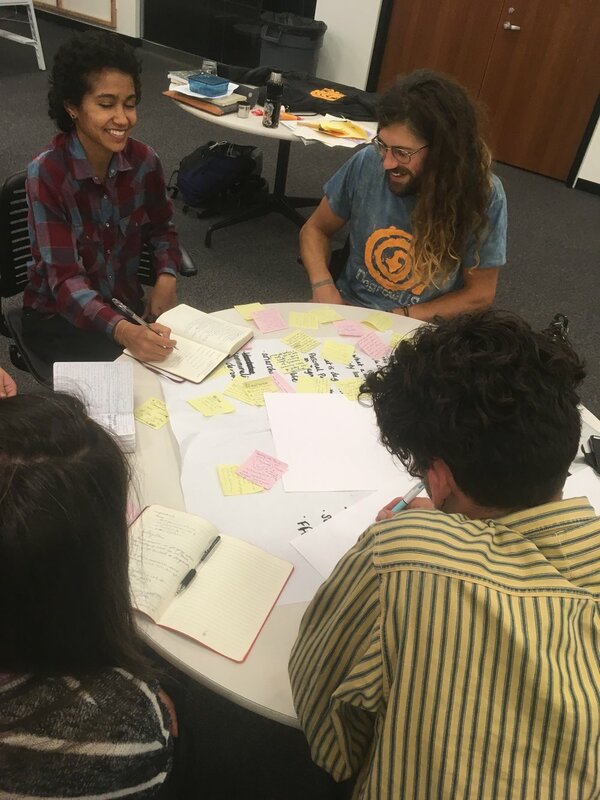 From September 28-30 2018, advocates of a US-based Degrowth movement gathered in Chicago to share ideas and advance activism and scholarship for Degrowth. Over 60 individuals from a great variety of organizations and geographies attended. Donated and locally-grown produce made up our lunch, held in The Plant’s “Winter Garden” - the rooftop of a former meatpacking plant. John Edel, founder of Bubbly Dynamics, told the story of The Plant’s rise from post-industrial rubble to scrappy urban food hub, stimulating discussion about neighborhood development, business financing and convivial technologies. Susan Paulson delivered an energetic welcome and Degrowth overview via Skype. She encouraged American degrowthers to learn from allied movements in Latin America including: Buen Vivir, the Agro-ecological Revolution and the Zaptistas. Francois Schneider, who walked across France with a donkey speaking about Degrowth over a decade ago, spoke to us from Can Decreix (House for Degrowth) about the rise of Degrowth thinking and research. He was visibly excited to see the genesis of a US-based degrowth movement. Bob Thompson, founder of Degrowth Canada, spoke about the planning of the International Degrowth Conference held in 2012 in Montreal. He encouraged us to focus our weekend on debate and communication! Jonathan Pereira, Executive Director of Plant Chicago, presented criteria for local circular economies. Erik Assadourian, Senior Fellow at the Worldwatch Institute, introduced the Spiral Economy - a merger of degrowth and circular economy concepts. How do these concepts work together? What does a merger of the Circular Economy and Degrowth look like? Lindsay Coulter of Yumuko Workshop presented the film River Blue about environmental impacts associated with the modern textiles and fast fashion industries. She led us in an indigo dying workshop and taught us a bit about the indigo plant and history of textile dyes. We even got to dye our own fabric pieces! Field Museum Anthropologist Alaka Wali was our host for the day. Between morning and afternoon talks she led us through the Restoring Earth exhibit and discussed her work in areas of South America, where automation and industrial resource extraction threaten the ecologies and lifestyles of rural communities. Her major point was that the technology and comforts we have come to associate with “developed” society do not deliver higher qualities of life and are often not desired by the communities being affected by so-called economic development. Anne Nicklin, Reuse Studio - Building materials reuses and engaging the existing circular economy. Professor Kasser presented his research on how alternative metrics can influence public decision making that favors degrowth and environmental conservation. Metrics regarding community health and the environment tend to activate and encourage intrinsic or self-transcendence values within people. This is in contrast to metrics such as the GDP, which rewards financial transactions and thus activates extrinsic or self-enhancement values. From this value activation perspective, Dr. Kasser has developed the concept of an “Alternative Indicator Cycle” in which the success of government and society is measured by community values and ecological health. The use of these alternative metrics strengthens self-transendence and conservation values among voters and decision-makers, leading to a virtuous cycle, improving governance and potentially ushering in the democratic and sustainable degrowth we seek. Co-opoly, the game of cooperatives! Filmmaker and thought-leader John de Graaf gave a talk and led a workshop in communicating Degrowth. John has spent decades covering topics related to the economy and societal well-being. His film AFFLUENZA (1997) popularized an important criticism of consumer culture: that it wasn’t delivering the well-being benefits it promised. He has made over thirty documentaries covering environmental and economic issues. John has also launched campaigns promoting alternative economic metrics, shorter working hours and most recently And Beauty for All. 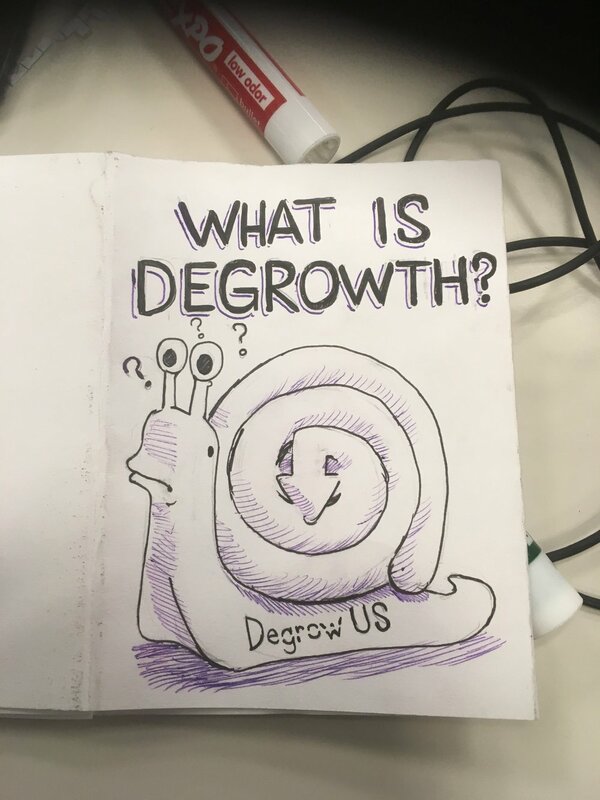 He talked about his initial reluctance to use the term “degrowth” in describing his vision of a healthy and sustainable future. It can sound negative to an audience primed to believe a healthy economy must grow in material wealth. 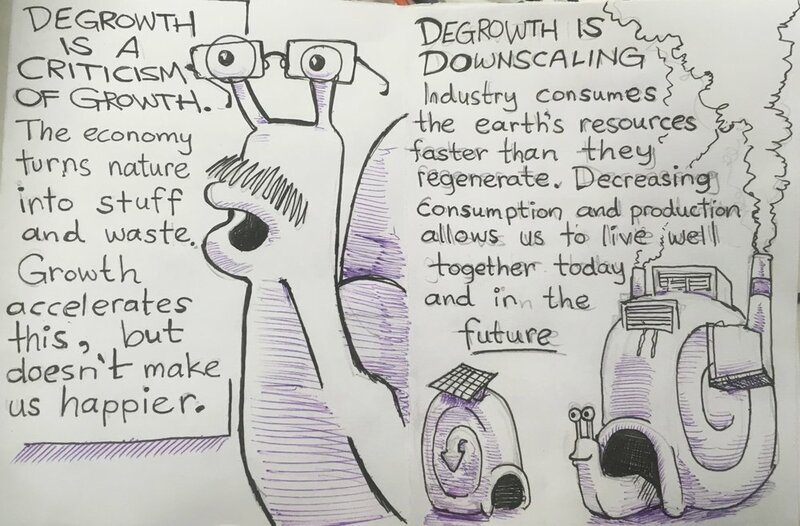 However, as the Degrowth movement has evolved it has shown many overlaps with John’s goals of promoting widespread, equitable and low-material well-being. He now discusses degrowth in his lectures and writings. You made it this far, now join the movement!